Perrin Fuel Injectors - Dezod Motorsports Inc - Home of the automotive performance enthusiast since 2002. Most everybody wants more power and fuel is essential. PERRIN has created an inexpensive way to maintain factory reliability in situations where large injectors are a must. 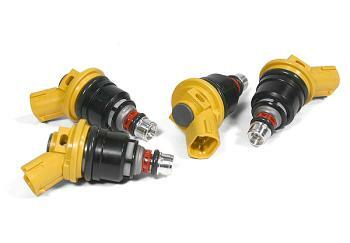 PERRIN offers you two options when upgrading your injectors. Like the name implies – you may purchase a brand new set of injectors and hold on to your stock injectors for safe keeping. Although it comes with a higher price, having the stock parts available may be worth it. With PERRIN’s core exchange program you need only spend a small fee to receive upgraded injectors that have been expertly modified, cleaned and packaged ready to go in as little as 24 hours. Then when your installation is complete, send the originals back so the same service can be provided to another enthusiast.